My father always said to me while I was grown up "my daughter, has my taste quality over quantity", that's one thing I stick to when it comes to footwear and handbags. My dad bought me these beautifully crafted FRYE boots last year for Christmas! I mean, it’s so hard not to desire them and wish for every pair of boot you own to be just as fabulous (but I don't have the money rolling in like my daddy does). Every year for the past 10 years I’ve asked for a pair of FRYE boots – Birthday, Christmas, good grade in undergrad, I mean you name the holiday I ask! Honestly, I long for these boots simply because I know the quality of FRYE’s leather will last a lifetime. Daddy knows best! 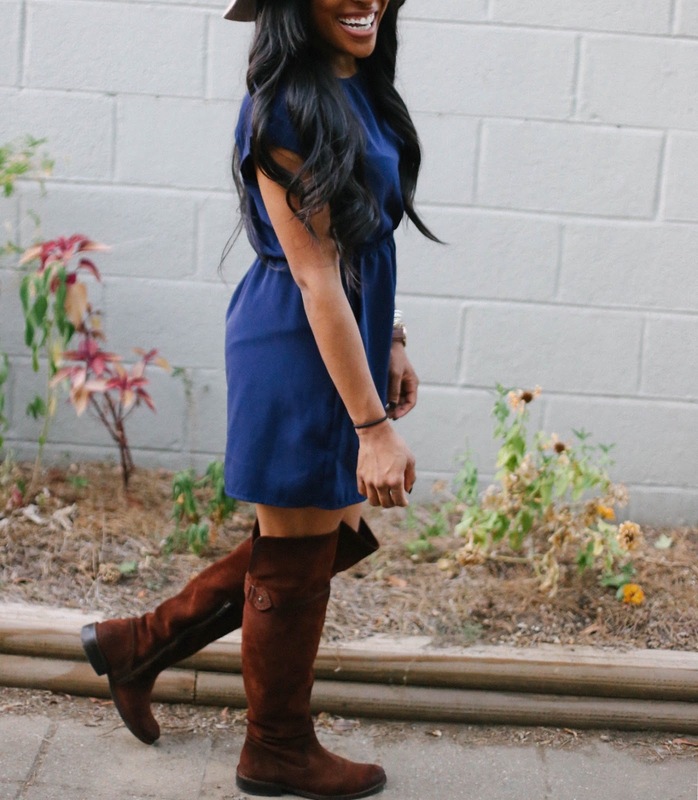 I would have to say these over-the-knee (OTK) boots are the perfect addition to any fall wardrobe. So many styles are either too large in the leg or sagged down in an unflattering way. But never fear FRYE boots are here! I’m very picky when it comes to a boot that will fit my petite frame and not make me look frumpy –this style and fit is everything. Let’s not forget to draw attention to this incredible Michael star hat! Let me just say there is definitely a difference in the quality of craftsmanship versus a fast-fashion knockoff –FRYE’s version of this boot will last a lifetime (they get even better with age). So yea they are worth the investment. 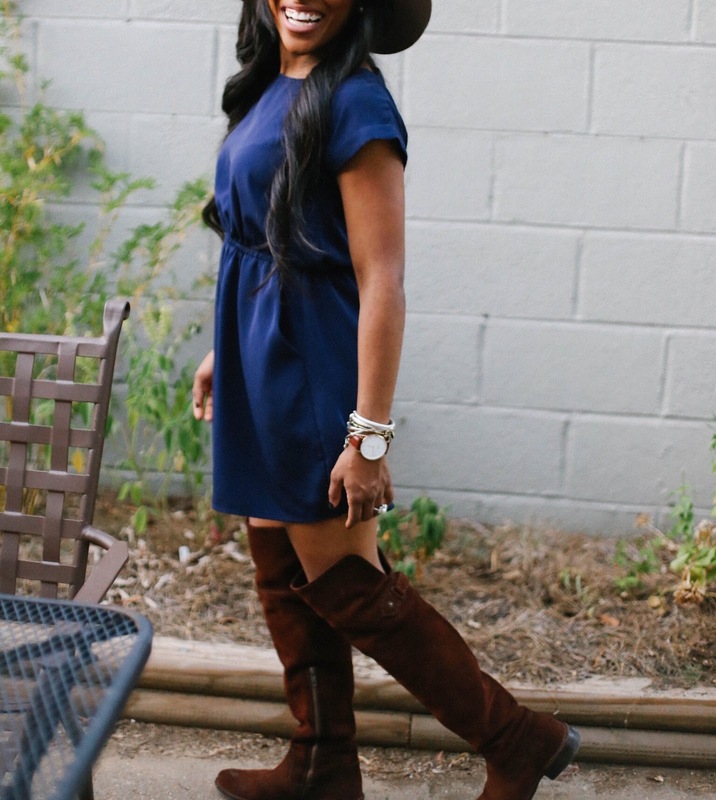 If you have been swooning over the amazing Daniel Wellington watches I have a discount code! Get 15% off your @danielwellington purchase by using my discount code: LoweCoPetite. This is the last week...It’s valid until Saturday, October 30th.